Another frustrating NFL rule is starting to assert itself. After the Jets got screwed out of a touchdown last month, the “fumble at the pylon” ruling reared its head again on a run from the Bears’ Benny Cunningham. Initially, Cunningham was ruled down just before the goal line. 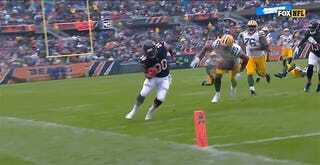 But Bears coach John Fox challenged the call, hoping to turn his first-and-goal into a touchdown. 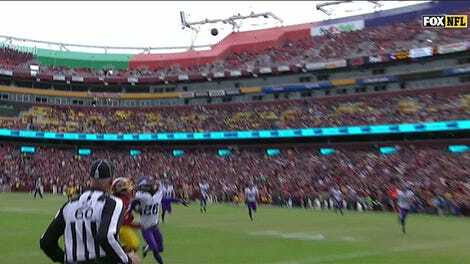 Instead, officials decided that Cunningham lost possession of the ball when it hit the pylon, which is considered out of bounds. That means the play turned into a touchback, and the Packers got possession. In retrospect, it’s a terrible challenge from Fox. But who can even try to keep straight a rule this counterintuitive?